Flowers from Tangiers is a delightful assortment of appliqued and pieced flowers blocks. Flowers from Tangiers is a delightful assortment of appliqued and pieced flowers that will brighten any room all year long. 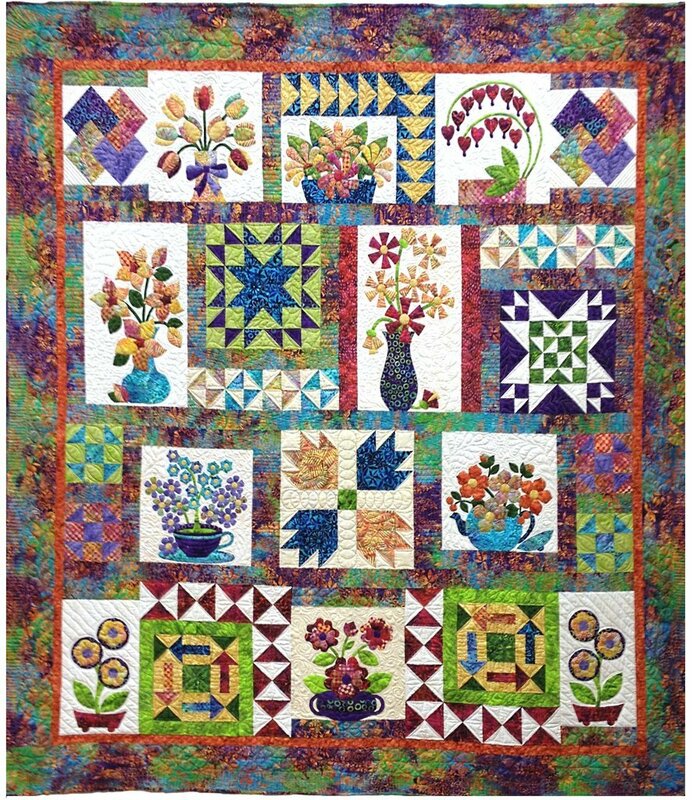 Flowers from Tangiers has 9 applique flower blocks, 9 traditional pieced blocks, and a finishing pattern. Quilt measures (72" X 78")**This quilt contains both applique and pieced blocks. The applique pieces are pre-cut & pre-fused. 18 months/$ 25.00 including shipping, with $ 10 registration fee.